These are some Extra Settings for Academy Pro theme. In this tutorial I’m not listing every setting in the customizer. I’m only dealing with the settings that are specific to Academy Pro. Go to: Dashboard > Customize and you’ll see this dialogue box. To add an image logo go to: Dashboard > Customize > Header Image (upload a logo 600 x 160 pixels). The logo will display at half that size (300 x 80 pixels) because it is retina ready. I have already dealt with this tab in the main tutorials. 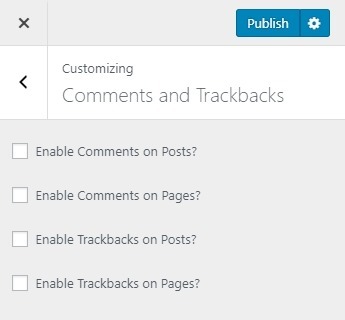 If you do enable comments make sure you moderate those comments, you don’t want your posts full of spam! 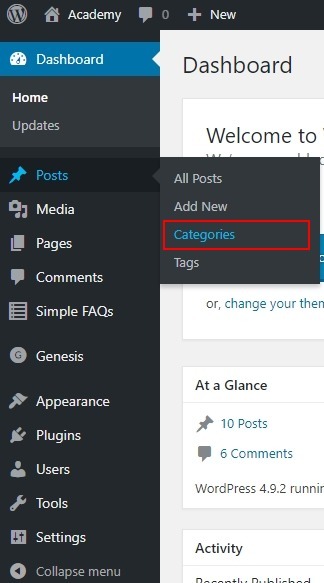 Blog, Category and Tag archive listing pages can be customized here. Go to: Dashboard > Customize > Content Archives. The Content Archives tab has two sections. The top section (shown in the image above) affects all archive listing pages. 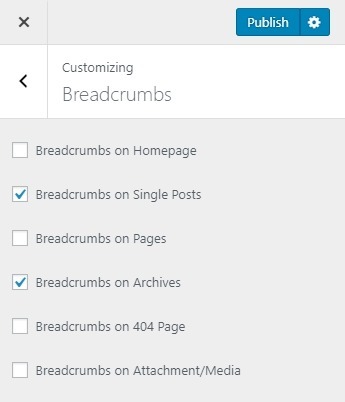 These settings affect category and tag archive listing pages ONLY! 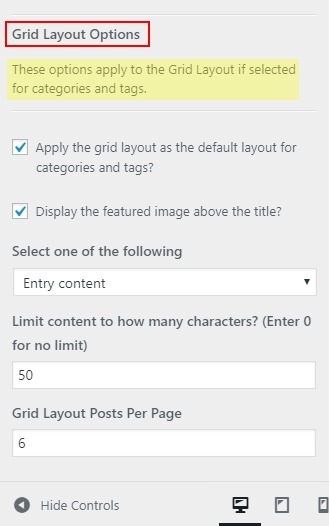 These options apply to the Grid Layout (if selected) for categories and tags. 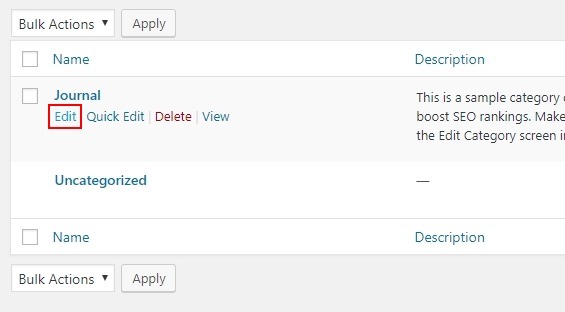 These settings will NOT affect the Blog listing page! So if you change a setting and it doesn’t appear to change on your site, check both the blog listing page and a category listing page. 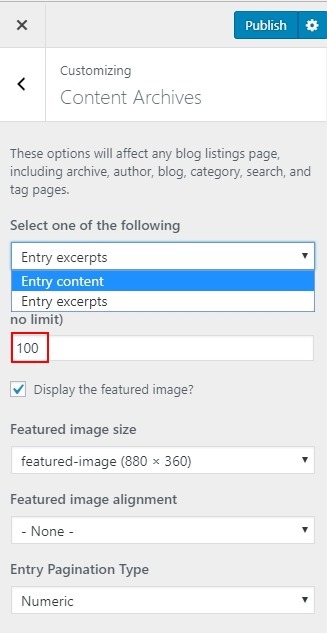 If you choose Entry Content: you can set a specific number of characters to display under each blog post on archive pages. If you choose Entry Excerpts: the first 55 words of each blog post will display in archive listing pages. Choosing a featured image alignment of None displays a larger image than selecting a featured image setting of Centre. You now see a list of all the categories you’ve made in this site. When you hover over any category a row of options appear, click the Edit option. Scroll to the bottom of the Edit Category page and you’ll see a dialogue where you can select a layout type. To display the posts in a three column grid choose the grid option. To display the posts in a two column grid choose a full width page option. 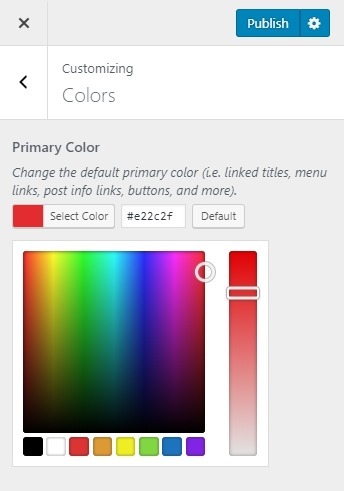 To display the posts in a single column, choose a sidebar layout option. 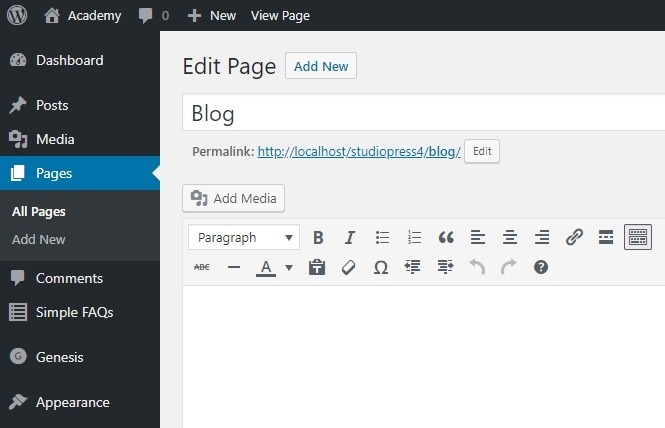 The Blog page opens in the WordPress editor. 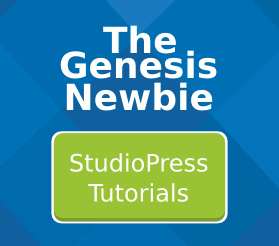 The blog page looks just like any other WordPress page but it does not have any content. The blog page displays a list of your blog posts because the blog page template has been selected. 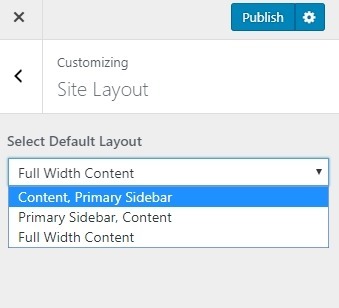 When you scroll to the bottom of the Blog Page edit screen you will see the Layout Settings dialogue. If you select a sidebar option the blog posts will be listed in a single column, one above the other. 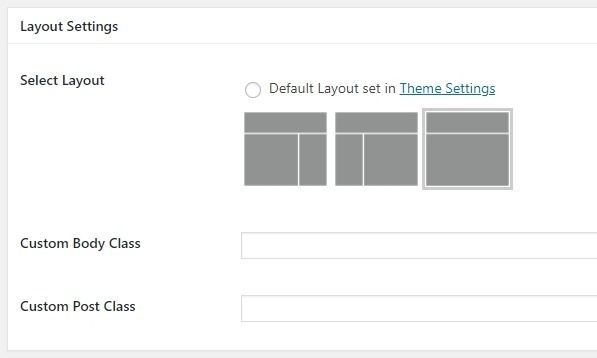 If you select the full width option your blog post will be displayed in a two column grid. The blog page does NOT have a three column grid option. However, category and tag archive listing pages do have the three column option.